The 1st pageant I've ever attended was Mr Singapore 2008 and I'm still really proud to say that my buddy, Jovin Koh, stole the show that year. Watching Jovin lifting the trophy, I asked myself "What does it really feel like winning a male pageant?" Guess what, this guy won Manhunt in 2010 as well!! I often asked friends around me who have joined Manhunt Singapore to share with me how their experiences were like and they'll share about the interesting events that they've attended and the different opportunities that came their way. Early this year, Edward approached me on facebook asking if I'm keen to take part. I rejected the thought immediately because I don't think that I'll have any chance of winning this competition. 1. I'm 29 this year! This is the last year I'll be able to participate in Manhunt Singapore. I do not want to live the rest of my life regretting. 2. After hearing my friends' experiences in the different pageants, it's about time for me to experience it myself. I believe that everyone's journey is different and I'm loving every part of it so far. So without further ado, let me bring you through my Manhunt journey so far. Earlier in January, I dropped by Beam Artistes to fill up my application for Manhunt Singapore 2014. I didn't know that there were already photographers on standby from the very beginning of your journey! But come to think of it, it wasn't a bad idea (more photos to show). After filling up the form, I was led to the office of Mr Samuel Seow (Founder of Beam Artistes). He was really well dressed...but even more well spoken (People celebrity lawyer okay.. don't play play!) We had a great chat and it was also nice to know that he's a fellow Catholic, and what's even more coincidental was that he's childhood friends with my assistant parish priest, Fr Derrick (No wonder they talk the same!). And of course, throughout the entire conversation, photos were taken too. Oh did I mention that my buddy, Jovin, was nice enough to tag along since he's pretty close to Samuel too! I was really fat during this period as Taiwan treated me with too much LOVE!!! Then came the really stressful part, time to pose for the camera!! As you can see from the photos, I was totally unprepared for this interview. I just came from a 1 week Taiwan trip and the food in Taiwan, please don't even get me started! Badly needed a haircut too! After the photos were taken, I was told to await their confirmation if I'll be selected as a contestant for this year's pageant....And so, the awaiting began..
As I was waiting for the Beam Artistes to get back to me, I knew that I had alot to do in order to get my body back in shape! Started working really hard both in and out of the gym and I was really happy to see my body transforming by the day. 2 weeks later.. 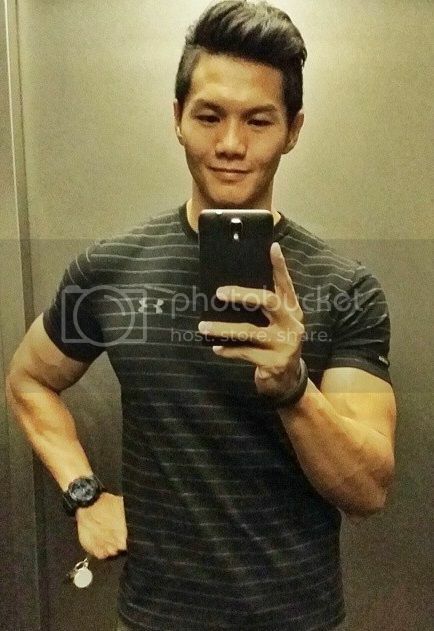 I received a phone call from Samuel informing me that I was selected for Manhunt Singapore 2014. I was so happy and thanked God for the opportunity! I also knew that the competition will be really strong and I will need to continue to be even more discipline as the first photo shoot was coming up in 3 weeks' time. 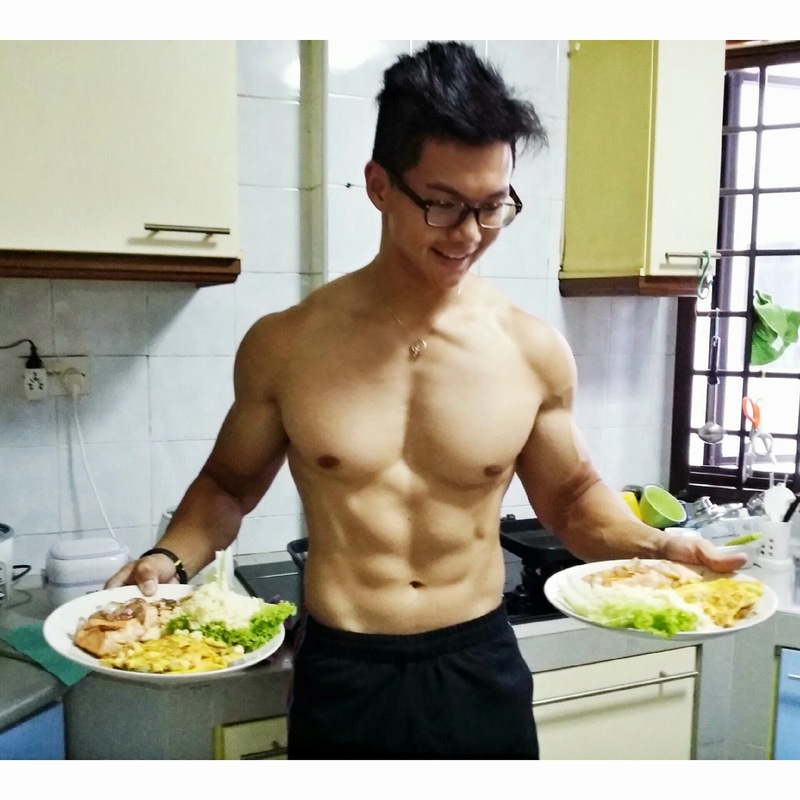 In that 3 weeks of preparation, I decided to try out some interesting workouts that help me to burn fats while I still held on to a good amount of muscles. 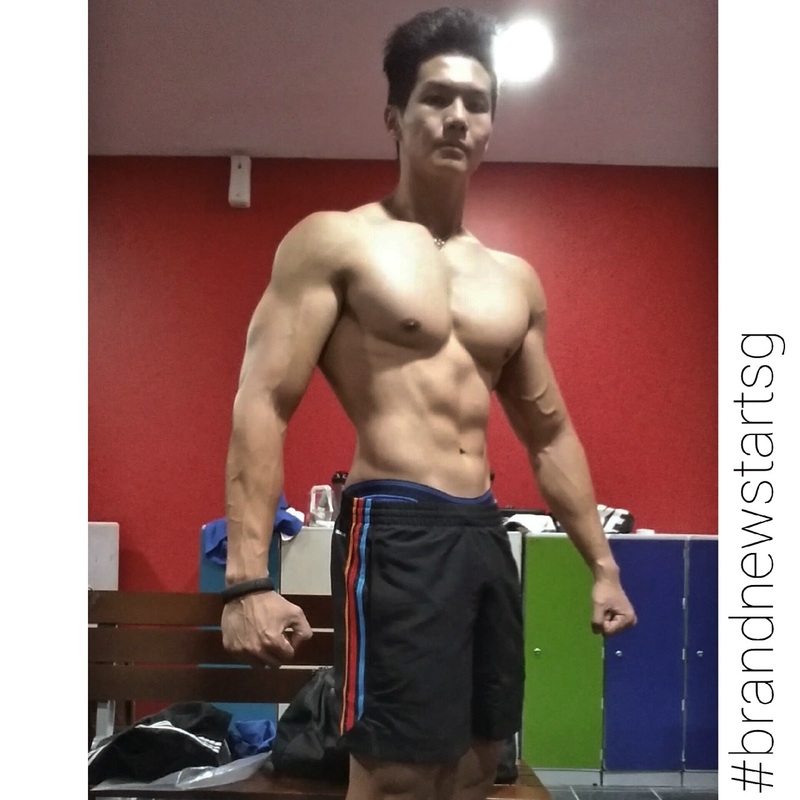 I also tried limiting myself with lesser water intake a day before the shoot just to look even more shredded. This shot was taken the night before the shoot. 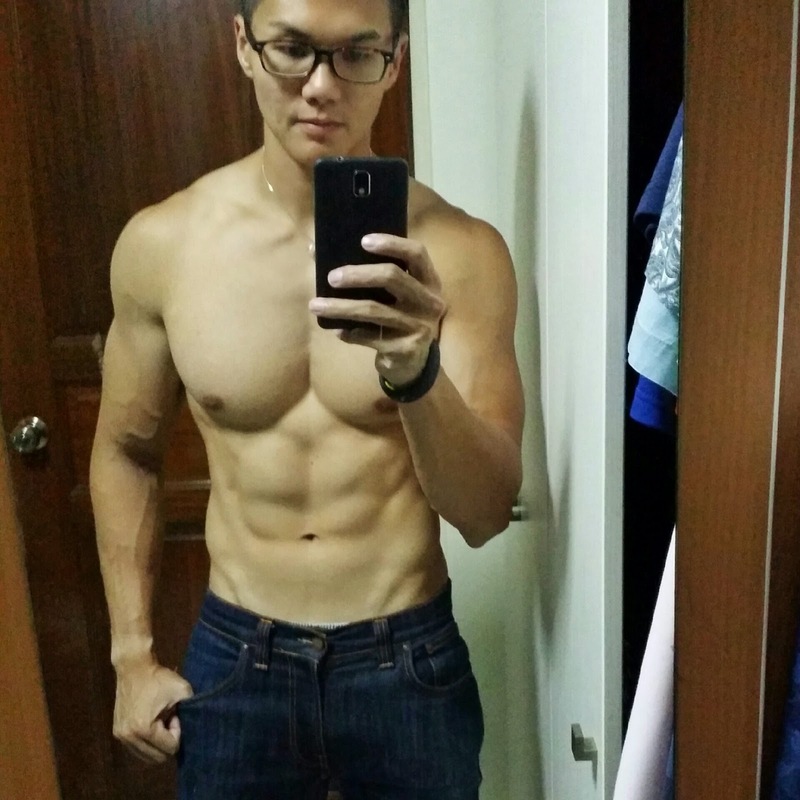 That's all for part 1 of my journey to Manhunt Singapore 2014. Will be back real soon for part 2 so please stay tuned!